If you in the business where cash is the main medium of buying and selling, then you need to consider automating your cash management. If you are operating in areas where the flow of the foreign is high, then you need a more improved machine to handle cash management. A mixed denomination bill counter is what you need. One of the biggest benefits that you enjoy from mixed denomination bill counter is time-saving. 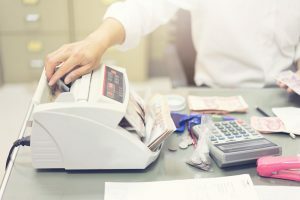 If you compare manual counting to using a mixed denomination bill counter, then you notice that there is a huge difference in the amount of time there is a huge difference in the amount of time. You waste a lot of time if you result in counting money manually. Therefore, with this machine, you can expect to save a lot of time. Counting by hand is prone to many human errors. You are likely to forget the count and end making errors in the entire counting. You might also have some of the money stolen by the employees. These are things that you can expect to go away with investing in mixed denomination bill counter. Cash management is a major change for many businesses. It is difficult to handle colossal money by hand or with the typical money counter. That is why you need to have an advance machine especially if you are accepting multiple currencies. With a mixed denomination bill counter, you have all the cash counting automated. With the introduction of a mixed denomination bill counter, the productivity of your business will increase significantly. You will be able to reduce the amount of time wasted in counting cash and utilize it in productive business activities. You will also increase the number of customer coming into the business due to improved services.